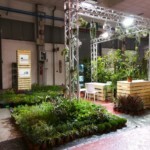 The 69th SALONE INTERNAZIONALE DEL FLOROVIVAISMO E ARCHITETTURA DEL PAESAGGIO E INFRASTRUTTURE VERDI – FLORMART closed with renewed confidence . 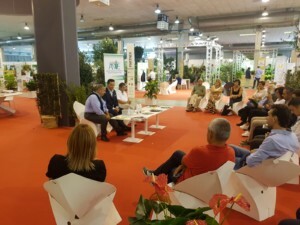 From 19 to 21 September national and international professionals of the nursery-gardening chain met at the structures of Padova Fiere – GEO SPA to exhibit products and services. 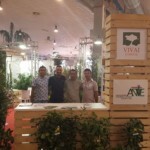 ANVE – Associazione Nazionale Vivaisti Esportatori (National Association of Nursery-Stock Exporters) participated as in 2016 and 2017 organising a large exhibition area and with very important events. 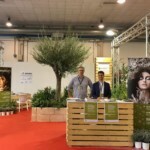 In addition, it participated in all the technical and institutional meetings organised by the Associazione Internazionale dei Produttori AIPH (International Association of Horticultural Producers). 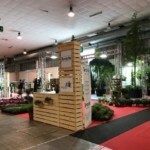 In the historical Pavilion 5 dedicated to Nursery-gardening, ANVE prepared an area of 2500 sq. 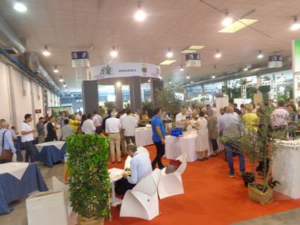 m, considerably increased in surface and number of participants, in which the Members exhibited their par excellence products along a territorial itinerary. 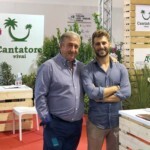 Following, the production companies present: Sicilia Verde di Giambò, Piante Imbesi, Vivai Munafò, Laura Ryolo SrL, Vivai Coppolino, Vivai Valenti Antonino, Milazzoflora, Vivai Capitanio Stefano, Vivai Buemi, Vivai Cantatore Vincenzo, Caporalplant, Primavita, Paganopiante, Vivai De Nicolo, Vivai Cantarore Michele, Glionna Vivai, Vivai De Laurentiis, Oasi Vivai Piante, Vivai La Felce, Vivai Imperatore, Verde Molise, Vivai Acciarri Alfredo, Vivai Aumenta Antonio, Buongiovanni Vivai Piante, Giorgio Tesi Group, Floramiata, Vivai Ideaverde, Vivai Cinelli Luca, Vivai Romiti Giampaolo, Compagnia del Lago Maggiore, Lambo, Terra Alta, and Arena Vivai. 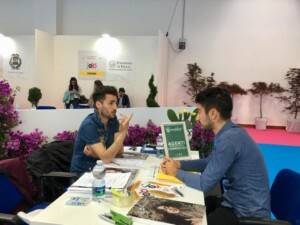 Nursery-gardening from north to south participated with producer companies coming from Piedmont, Lombardy, Liguria, Veneto, Tuscany, Umbria, Lazio, Marche, Abruzzo, Molise, Campania, Basilicata, Puglia and Sicily. 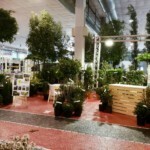 They all made the exhibition of the entire assortment comprising indoor and outdoor ornamental plants, fruit trees, aromatic plants, acidophilous plants, continental, Mediterranean, tropical and subtropical plants, citrus trees, flowering plants, trees and shrubs for the local, European, and extra European market possible. 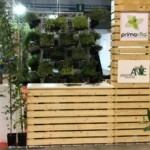 Moreover, participating together with ANVE were the Supporting Memeber AICG – Associazione Italiana Centri di Giardinaggio and the service companies affiliated AIB – All Insurance Broker that develops and proposes insurance policies covering the damages from natural disasters and phytopathologies on plants and Florinfo that, for thirty years, has been developing computer solutions for producers, green maintenance workers, florists, resellers, and public organisations. 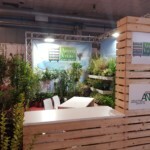 Multiple events organised by Members and partners that valorised and gave visibility to the entire exhibiting ANVE group were held during the three days of Flormart. 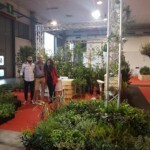 The associated company Lambo presented the book “Manuale degli Alberi”, a guide conceived to offer a helpful instrument for everyone, in the selection of the ”right trees” to be inserted in the various urban and suburban environmental contexts. 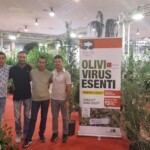 The text was designed by expert arboriculturists that work every day in nurseries, season after season, following their growth, intervening with skilful pruning, minimum chemical treatments, fertilising, and targeted irrigations. 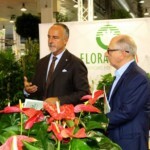 The associated company Giorgio Tesi Group and the media partner of ANVE AboutPlants presented the book “A proposito di alberi. 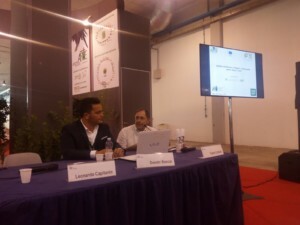 Raccolta di articoli sul verde urbano” curated by the writer Prof. Francesco Ferrini – President of the Agricultural School of Florence. 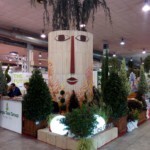 A collection of the best articles written by him for the web magazine AboutPlants.eu, reference portal for everything regarding the world of plants. 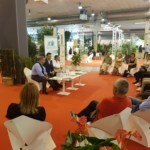 The texts, appropriately adapted and some original ones, discuss the different topics linked to plants, with specific reference to urban green, subject of which Prof. Ferrini is recognised expert at worldwide level. 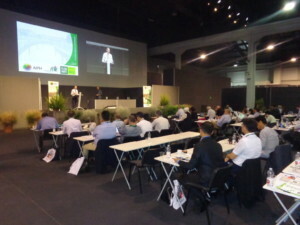 The associated company Caporalplant organised the meeting “L’importanza dei controlli di qualità e il monitoraggio fitosanitario”. 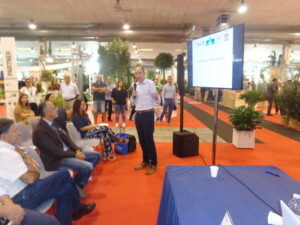 A talk show dedicated to producers and clients where discussed were the technical controls cycle by the internal staff from the field to sales, up to transport of the same product : the cases of Qatar and Norway. Also in discussion the relation with the regional phytosanitary service and quality certifications. 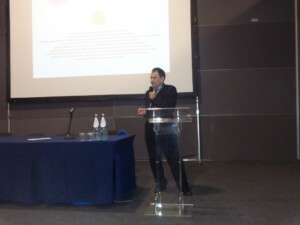 The associated company Vivai Capitanio Stefano celebrated 30 years of colours, passion and professionalism. 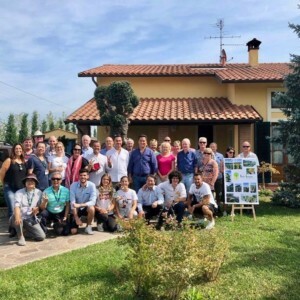 To celebrate the 30 years of activity there were Leonardo and Simone Capitanio with their collaborators, the ANVE Members and the visitors of the fair. 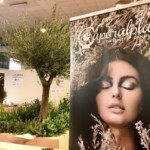 The associated company Floramiata, on the green carpet of Flormart, presented the new “Catalogue 2019”. The publication, in a very appealing typeset, summarises the editorial traits of the catalogue and company profile. 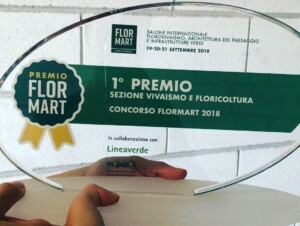 Floramiata, first carbon free company thanks to the use of geothermal energy for the heating of the greenhouses, also won the first Flormart prize in the nursery-gardening and floriculture sector! 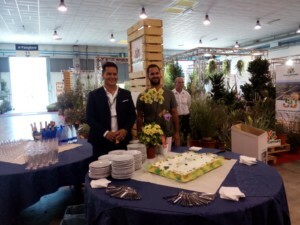 The supporting Member AICG presented the opening of the Garden festival d’Autunno (Autumn Garden Festival) that will be involving almost 100 gardening centres all over Italy until 21 October. The cyclamen is the protagonist of the third edition with many initiatives and events, as well as activities for children “I nonni raccontano” (a workshop with readings, on occasion of Grandparent’s Day, the weekend of 6 and 7 October) and a great final celebration open to everyone (20 and 21 October). 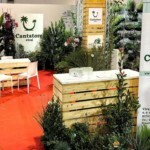 The event has the patronage of the Ministry of Agricultural, Food, and Forestry Policies. 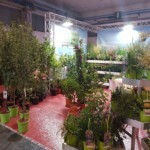 In addition, within the Garden Festival d’Autunno, AICG chose to support the Campaign “Nastro Rosa AIRC”: during the month of October, for each pot of pink cyclamen sold, the adhering Garden Centres will devolve 1 euro to support the breast cancer research projects of the Italian Association for Cancer Research. 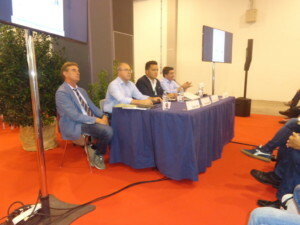 At the end of the seminar, there was a debate that saw the interventions of Giuseppe Caporale (Member of ANVE), Sabrina Diamanti (President of CONAF), Giandomenico Consalvo (President of CIVI-ITALIA), Renato Ferretti (Councillor of CONAF and journalist of the sector), Pierluigi Verga (Vice President of the Distretto Altolombardo), Tim Briercliffe (Secretary of AIPH). 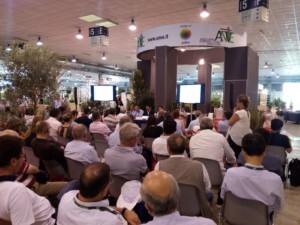 The audience, composed of national and international operators among which the representatives of ENA and AIPH Associations coming from Europe and the rest of the world was updated with the latest information about the monitoring and eradication of the terrible phytopathogenic bacteria. 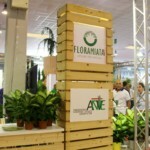 ANVE considered necessary to organise this seminar hoping to restore confidence in the Italian plants health and reflect together trying to find a solution about the change of strategies that could privilege the elimination of the infected material and also of the one potentially carrying the disease, limiting the control measures adopted until now, to the areas where the eradication of the bacteria is impossible. It is necessary to draw the attention to an eradication strategy in those currently pest-free areas where the monitoring has provided comforting data regarding this matter. 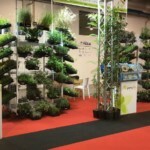 All this has the aim of protecting the nursery gardening poles that are located within the pest-free areas. 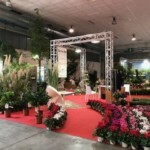 The 70th Congress dell’Associazione Internazionale dei Produttori AIPH (International Association of Horticultural Producers) (http://aiph.org/events/padova/) was held at the Flormart. 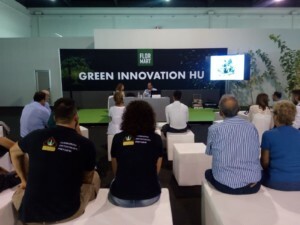 A unique event of great technical value and high institutional profile for Italy, during which the candidates of the EXPOs in Turkey and Australia and the Green Cities in the world initiatives were presented, moreover, the phytosanitary matters as well as those relative to the royalties for the new plant varieties, were discussed. 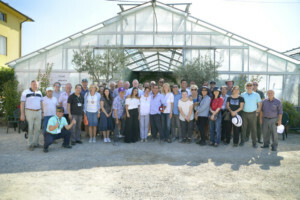 Over 100 representatives coming from five continents contributed with their international experience to the nursery gardening development and to a global vision of the sector. 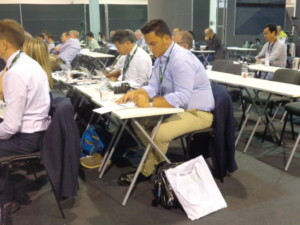 Leonardo Capitanio, President of ANVE, participated as Italian representative. Exiting and rich in history was the intervention of Arturo Croci, who has well described the activities and evolution of AIPH since its foundation. 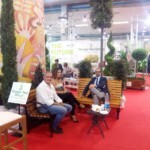 Besides these events, AIPH expressly requested to organise professional visits at our companies of Pistoia and Pescia to verify the production capacity and the nursery gardening tradition of the largest European district. 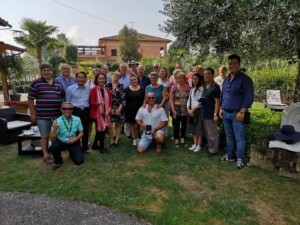 For this reason, the international representatives visited the following ANVE associated companies: Vivai Cinelli Luca, Giorgio Tesi Group, Buongiovanni Vivai Piante, and Vivai Romiti Giampaolo. 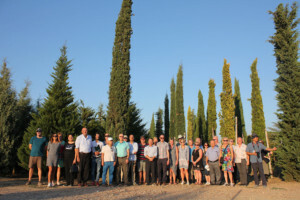 During their visits, they were accompanied to the production sites of outdoor ornamental plants such as trees, shrubs, conifers, broadleaf, rose bushes, and fruit trees. The nations represented were: Italy, Holland, Germany, France, Switzerland, United Kingdom, Greece, Poland, Belgium, Turkey, United States, Canada, China, Taipei, Australia, Korea, Indonesia, Japan, Qatar, Pakistan, Bhutan, Kenya, and Russia. 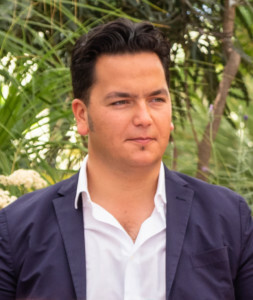 Therefore, our companies had the opportunity of showing themselves in an exclusive context and in their promotional and commercial absolute value.